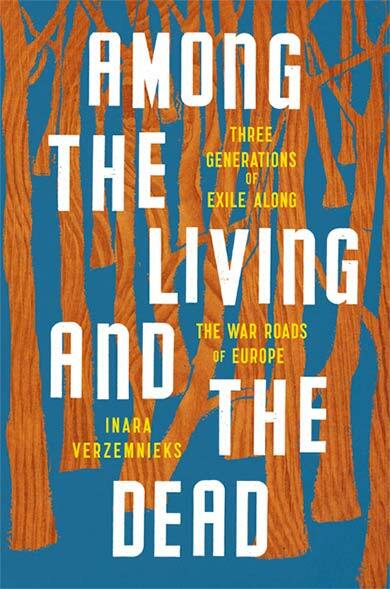 “It’s long been assumed of this region, where my grandmother was born…that at some point each year the dead will come home,” Inara Verzemnieks writes in this heartrending story of war, exile, and reconnection. Raised by her grandparents in Washington State, Inara grew up among expatriates, scattering smuggled Latvian sand over the coffins of the dead, singing folk songs about a land she had never visited. Most of all, she listened to her grandmother’s stories—stories which recalled one true home: the family farm left behind in Latvia during the Second World War. There, her grandmother Livija and her great-aunt, Ausma, were separated. Livija fled the fighting to become a refugee; Ausma was exiled to Siberia under Stalin: the sisters would not see each other again for more than fifty years. One day, in a box of her grandmother’s belongings, Inara discovers the scarf Livija wore when she left home. This tangible remnant of the past points the way back to the remote village where her family broke apart. In Latvia, Inara comes to know Ausma, her family, their land and its stories, and there pieces together Livija’s survival through years as a refugee. Weaving together these two parts of the family story in spellbinding, lyrical prose, Verzemnieks gives us a cathartic account of love, loss, and survival.